Ergonomic design delivers a precise, clean cut...every time. Non-dulling blades. Ergonomic handle with embedded nail file. Stainless Steel. Ergonomic design delivers a precise, clean cut...every time. Non-dulling blades. Ergonomic handle with embedded nail file. Stainless Steel. 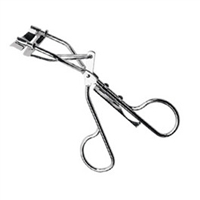 Easy-to-use eyelash curler makes beautiful upswept lashes in seconds. Refill pad included. Chrome finish. Flat edge pushes back cuticle. Pointed edge cleans under nail. Textured finish for better grip. Disinfectable. Extra-fine loops allow for minute facial details. Delicate touch for clearing out pores. Stainless steel. Sharp, straight blade with smooth cutting action. 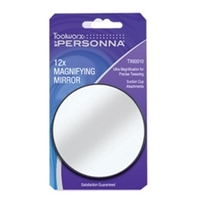 Provides the ultimate magnification for precise tweezing, make-up application or contact lens insertion. Stainless steel, double loop. Flat side for removing blackheads, fine side for whiteheads. Stainless steel, lapjoint. For trimming cuticles and hangnails with efficient single spring action. Powerful barrel spring and stay-sharp blades take on the toughest toenails for a clean cut...every time. Ergonomic handle with safety clasp. Stainless Steel. 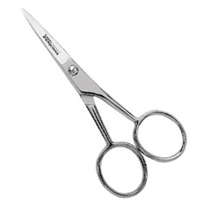 Master Series 5-1/2" Hair Shears are made from the highest quality stainless steel, and are mastercrafted with hollow ground, triple-honed convex blades. 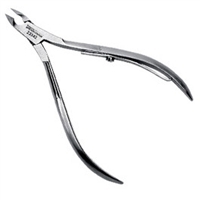 With a sleek, lightweight, ergonomic design, these shears allow for stress-free, precision cutting. Master Series 6" Black Onyx Thinning Shears are made from the highest quality stainless steel, and are mastercrafted with hollow ground, triple-honed convex blades. With a sleek, lightweight, ergonomic design, these shears allow for stress-free, precision cutting.